Jean-Yves Thibaudet and SF Symphony: Extraordinary! The San Francisco Symphony, conducted by Lionel Bringuier, performed an extraordinary concert, January 28, at Davies Symphony Hall. The program featured seldom heard selections by Kodaly and Ravel and Beethoven’s 4th Symphony, perhaps the least often performed of his nine symphonies. The brilliant, ever surprising Jean-Yves Thibaudet was soloist for Ravel’s Piano Concerto in G major. The result was colorful, dynamic, fascinating,; an exceptionally fine night of music. Zoltan Kodaly’s Dances of Galanta (1933) opened the evening. The work is so original, varied, and delightful it seems to pack a whole program into its mere fifteen minutes. Kodaly (1882-1967) may be best known for his excursions into the Hungarian countryside to collect folk songs and dance music. However, the folk rhythms and styles in this five movement suite are made into mighty, breath taking classical music as they went through Kodaly’s fantastic imagination. His music is not a graduate thesis. His understanding of the music played in the Hungarian and Transylvanian folk traditions was his key into new creative territory. The Dances of Galanta alternates between forceful rhythms and sparkling tunes. No reason to think of music inspired by dances as anthropology, unless, when remembering Bach’s Gigues, Bourrees and Sarabandes one also identifies those pieces by the dances that gave them their names and studies them as cultural anthropology of European court life. Maurice Ravel (1875-1937) was also a great composer whose attachment to his ancestral home, the Basque country near the French-Spanish border, influenced his work. His compositions with reference to Spanish music are not quotations of Spanish folk sources but have risen out of the rich resources in Ravel’s mind and heart. Jean-Yves Thibaudet was amazing. He is a musician-magician. He has been a star performer since winning awards in his teenage years. He performs with great mastery and allegiance to the music. Although he is charismatic onstage, he is not a showboat; he is only a great pianist. Ravel’s Concerto in G major for Piano and Orchestra (1932) gave him opportunities for power and gentleness. It was a stunning performance. The Concerto in G was first concerto he performed publicly. He was 11 and had won a competition. He told his teacher he wanted to perform this; she said, no, maybe Mozart or Mendelssohn. He learned the impossible first movement and convinced her. His teacher, Lucette Descaves, had been Ravel’s friend and had performed this Concerto with Ravel conducting. 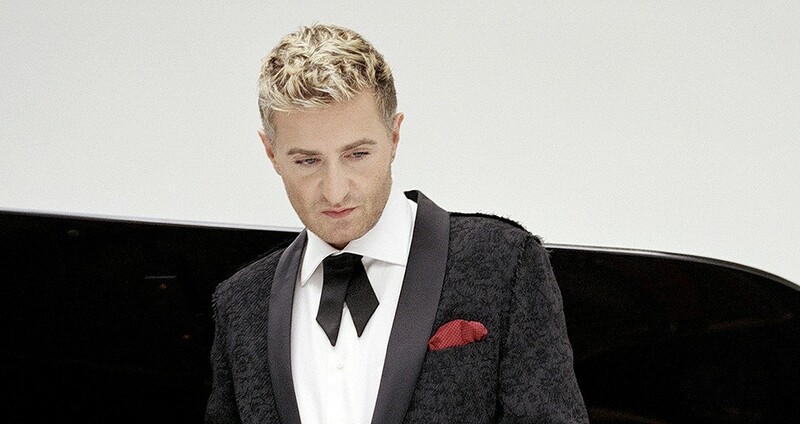 Mr. Thibaudet has said this made him feel he knew Ravel. His debut with the SF Symphony was in 1994; they are still a splendid partnership. The wind section was particularly wonderful. In addition to his Spanish/Basque roots, Ravel was entranced by American jazz. In the first movement there are two notes which seem direct from Rhapsody in Blue. Ravel’s jazz exists in his riffs on what the piano can do with the pianist’s astonishing technique: rapid fire trills to effects the pianist creates through pawing at the keys. The Adagio movement: is it inspiring love or gently lamenting it? During intermission I heard a grandmother from Boston tell her piano playing grandson from San Mateo that there is sadness and suffering in love and that’s what makes the blues. Ok, I’ll listen again. Beethoven’s Symphony No. 4 in B-flat major, Opus 60 (1807) is bright, cheerful, and races along doing special musical stunts while occasionally breaking into laughter. There are moments of darkness, but they are overtaken by the energy and continual invention of Ludwig van Beethoven (1770-1827). Maestro Bringuier had a triumph with this performance. He did not force the Symphony to be played in fewer minutes than the predicted 31; he did not contort the SF Symphony players into latex, Iron Man outfits. Lionel Bringuier is also a French musician who started his stellar career very young. His professional conducting debut was at age 14 on French national television. He was resident conductor of the Los Angeles Philharmonic for six years before becoming Chief Conductor and Music Director of the Tonhalle Orchestra Zurich, in 2012. He gave us the experience of Beethoven’s music, and it was an exciting, challenging, engulfing experience. Pictures, from top: Zoltan Kodaly; Joseph-Maurice Ravel; Jean-Yves Thibaudet by Decca Kasskara, courtesy SF Symphony; Jean-Yves Thibaudet; Lionel Bringuier. This entry was posted in Hedgehog Highlights and tagged Beethoven's Symphony No. 4, Davies Symphony Hall, Lucette Descaves, Maurice Ravel, Rhapsody in Blue, s Concerto in Gmajor for Piano and Orchestra, San Francisco Symphony, Zoltan Kodaly's Dances of Galanta on February 6, 2017 by Leslie.